This Sunday, in the spirit of holiday fun, we invite you to take part in an old fashioned (but also thoroughly futuristic, in this case) Scavenger Hunt. Starting at 12am PDT on Sunday April 1st we’ll be tweeting out obscured images of a locations within the ‘Verse. You, the players, must then track down the location, capture an image of your character standing in front of the hinted location, and reply to the twitter thread with your screenshot for that specific hinted image. The first person to successfully post an image of their character at the correct location wins that round. That means 8 chances to win your very own Aegis Vulcan with LTI. Huzzah! Make sure to carefully review the contest rules here. 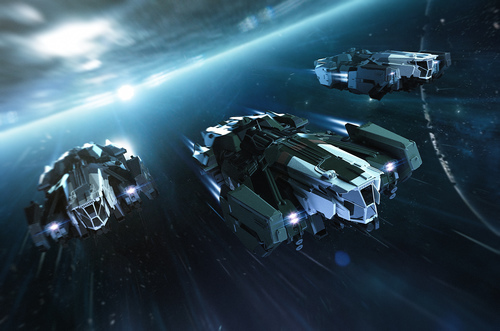 Fan Spotlight: Star Citizen in other games! Star Citizen Town Hall at PAX South!